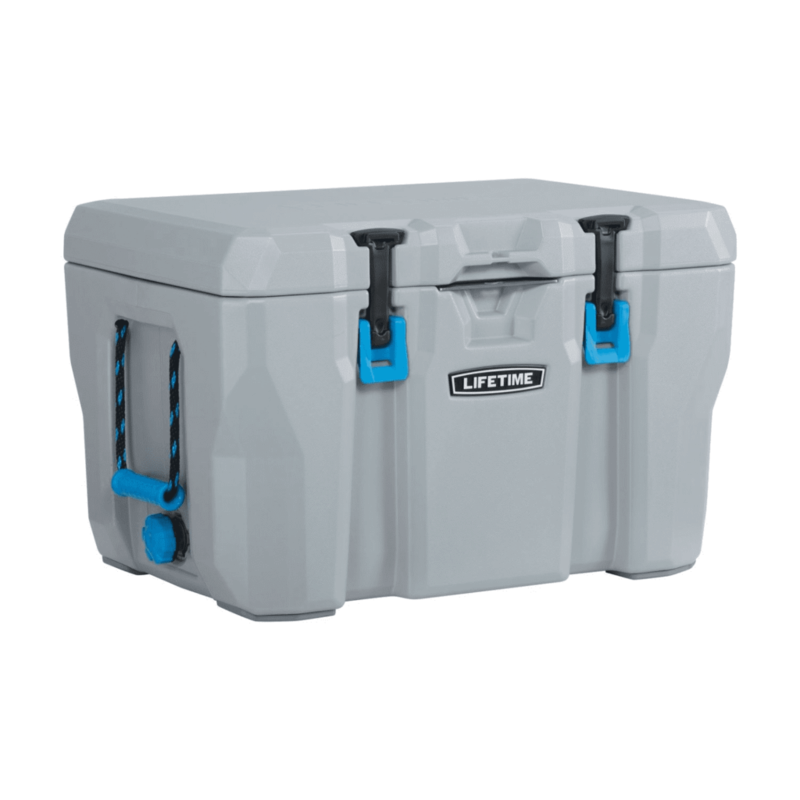 Lifetime coolers are without a doubt the cheapest roto-moulded cooler competitor to Yeti, offering a similar cooler for around the $100 mark, which is $150-$270 cheaper than Yeti depending on the model. Lifetime’s build quality is not quite as good but it has similar ice retention to Yeti, similar features, the same 5 year warranty and it is also bear proof. 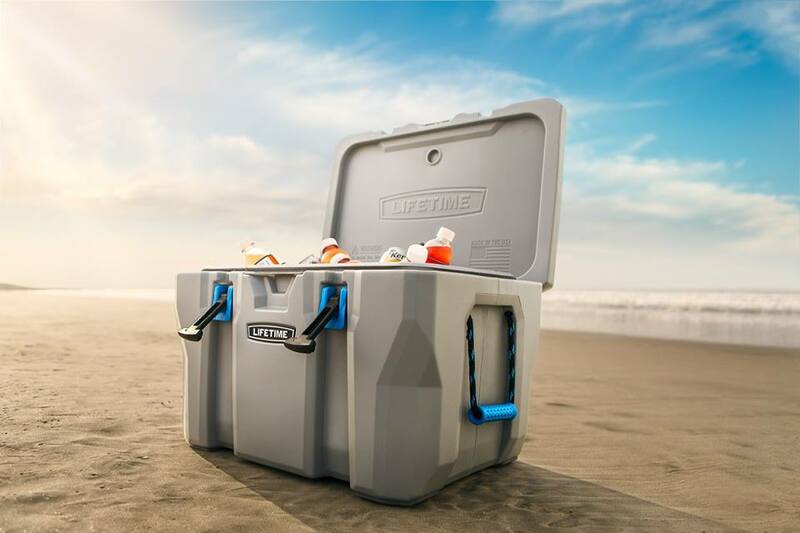 For value for money you can’t go wrong with the Lifetime cooler, but Yeti is still a better cooler that will likely last longer and has better brand recognition. In this comparison I want to look at the difference in the coolers, for both price and quality/features, so you can get an idea of the pros and cons of each cooler and make a decision as to which cooler is best for you. Lifetime is the cheapest roto-moulded Yeti competitor. The 55-Quart version, which is likely the most popular size, has a recommended retail of just $129.99 and has even been sold for as little as $99.99 at Wallmart. This is in stark contrast to the Yeti 65’s recommended retail price of $349.99. That’s $220 cheaper and more than half the cost when compared to Yeti. So as you can see Lifetime is an extremely affordable cooler and well worth the consideration. The only other coolers around this price range are the Coleman Xtreme 5-Day cooler for around $50 which is not roto-moulded and is missing a lot of the features of the Lifetime/Yeti cooler and the RTIC cooler which is better quality and very similar to Yeti but not as affordable as Lifetime. The RTIC is about twice the price of the Lifetime cooler. So Lifetime is super cheap and worth considering but now let’s look at it’s features and quality in more detail. Is it as good as Yeti and does it offer value for money or is it just a cheap imitation that is going to break quickly and not be worth the money? 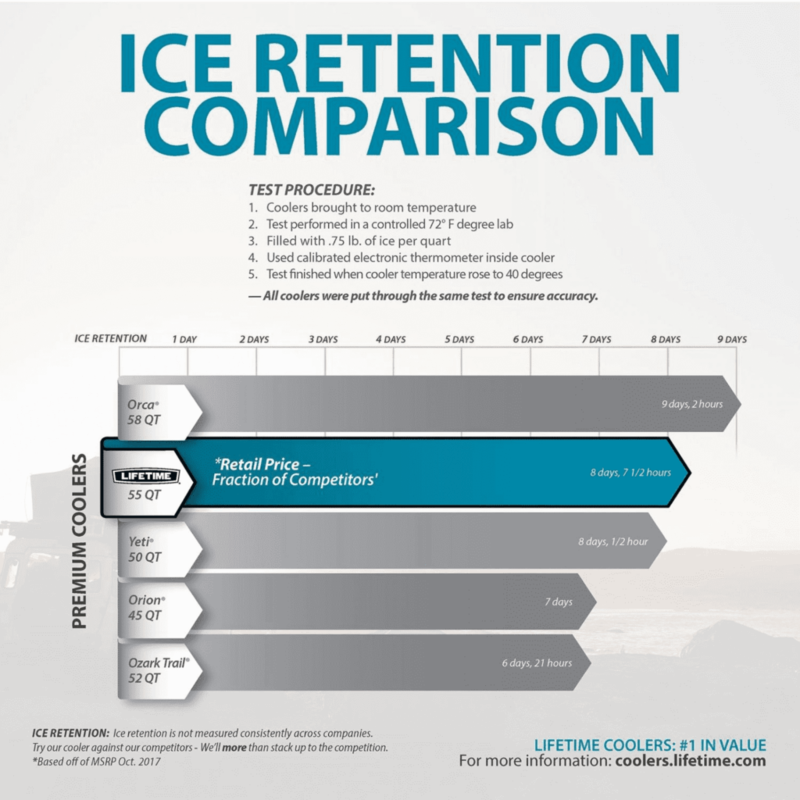 Lifetime coolers claim 7+ days ice retention, however it is more likely to get 5+ days ice retention in hotter weather and around about 7-8 days ice retention in cooler weather. This is really good for such an affordable price. Lifetime claim’s it has better ice retention than Yeti, but the tests they did are misleading and it is likely that Yeti would slightly outperform Lifetime in everyday conditions. The below ice comparison test compares the 55-Quart lifetime coolers to the Yeti 50 which actually only has a capacity of 47.2-Quarts. More on Yeti capacities here. This means the Lifetime cooler had about 14% more capacity to hold ice and the more ice in a cooler the longer it lasts, and the Lifetime only lasted about 5% longer than Yeti. 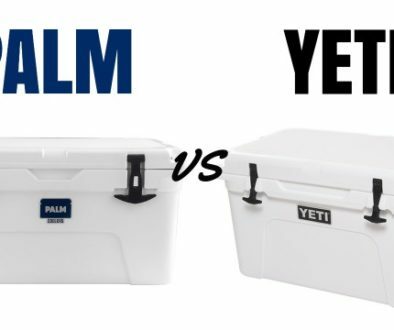 They should have compared the Lifetime to a Yeti 65 which has the very similar 57.2-Quart capacity, but obviously they want to market that their cooler is better. So no, it is unlikely that Lifetime will outperform Yeti in a direct ice test challenge, despite what their marketing will make you believe. But for a $100 cooler they come damn close. I like that they are honest and display that the Orca coolers hold ice better than them. Orca coolers (along with Techniice coolers) have some of the best ice retention in the industry, so it’s normal to see Orca do so well. But it’s nice to see them admit that and give a clear comparison. Below is a customer video of an ice challenge between Lifetime and Orca and you can see in real like how Orca keeps ice longer, but that Lifetime still does an amazing job. It’s likely you’ve never heard of Lifetime products until you heard about this cooler. Lifetime are not a well know “brand” in any particular product category. They don’t stand out like Yeti do as the premium brand for certain products. ‘Lifetime Products’ specialise in making affordable versions of furniture and outdoor equipment. They make everything from kayaks to paddle boards to chairs to kid’s play equipment and of course coolers. Despite not knowing their name Lifetime has grown from a garage operation in 1986 to a giant company that employs over 1,500 employees all over the globe. They make affordable products with quality, strength and durability in mind. So it makes absolute sense for them to build a cooler like Yeti. 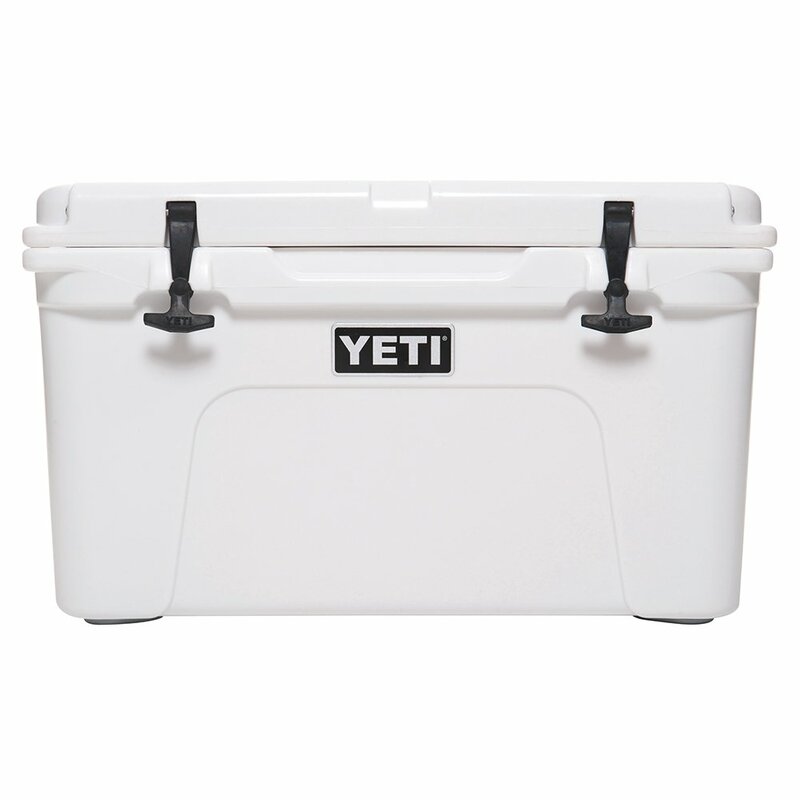 Lifetime coolers have a good durable build construction, but it does not match up to Yeti’s. They are built from the same material, roto-moulded polyethylene, which makes them super strong. But maybe Yeti has a thicker outer shell, or maybe the insulation used in Yeti creates more strength and rigidity than Lifetime’s. It’s unsure exactly what makes the difference but it is clear that Yeti’s construction seems to be more study, more reliable and likely more long-lasting. So it is evident that the construction is not as solid as Yeti but it is still way more solid than a regular cooler. And for the price it is still great value for money. A lot of cheaper coolers on the market don’t bother getting certified bear proof, but Lifetime coolers did. When padlocked the cooler is completely bear proof and can withstand a bear attacking it for over an hour. There are a few common problems with Lifetime coolers that you won’t find with Yeti. Given this cooler is so much cheaper this is to be expected. But I feel this is important to know before you make your buying decision. Moving this cooler around when it’s full of water can be really difficult as it’s not water tight. Water easily splashes out the side of this cooler even when the latches are completely closed. This means the cooler is likely not air tight either and is letting warm air in which will reduce overall ice retention. Many users have commented on the loose rubber gasket that goes around the lid of the cooler. This may be why the cooler is not watertight in the first place. The gasket can move around so you need to pay extra attention when closing your cooler each time. Some people have commented on a leaking drain plug. This can be fixed by tightening the drain plug with a wrench or checking that the rubber seal in the drain plug lid is in it’s correct position. Where can you buy Lifetime coolers? There are 3 main places you can buy Lifetime coolers at the moment. Lifetime coolers made a splash into the market when Wallmart started selling their 55-Quart model for just $97. 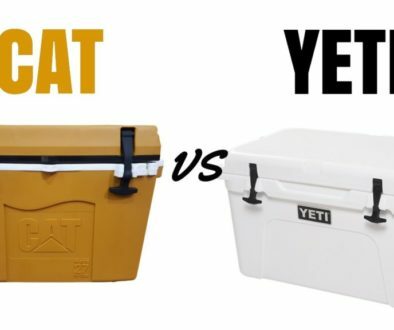 A cooler like Yeti but under $100?! No wonder these items sold so well!!! Wallmart is a great place to buy them, but they only sell the 55-Quart version. Click the link below to see the current price at Wallmart. They are also sold on Amazon, but the listings can be difficult to find and due to the product being new there is limited range or the product is only sold in lots of 2 or 3 coolers. So if you just want 1 cooler it’s not the best place to buy it. I highly suspect that this will change in the near future as these coolers become more popular and more people want to get there hands on them. Obviously you can buy their coolers from their own website. This is the most reliable way to buy the coolers and you can see all 3 sizes (the 28, 55 and 78-Quart variants). However, it is cheaper to buy either through Amazon or Wallmart if you can. It’s worth shopping on the manufacturers site if you can’t find them elsewhere, as they do offer free shipping. Lifetime coolers do have some features that I actually prefer over the Yeti coolers. It’s great to see a product in this price range actually have some things that are better than a product 2x more expensive. The stainless steel center lock also doubles as a bottle opener which in my opinion is an amazing feature. So many people use their coolers for beers and never having to worry about whether or not you have a bottle open is just such a great bonus. The non-slip rubber feet are great but sometimes you want to move your cooler around easily. This cooler has grip and slide rubber feet. What this means is that you can tilt the cooler by lifting it with one handle and the rubber feet of the cooler easily ride off the ground allowing you to slide the cooler on the plastic alone. This is a really cool feature that I haven’t seen in any other coolers. The rubber latches on Yeti can be hard to pull down to open. This isn’t an issue for adults, but I’ve got little kids and they can have trouble getting into my cooler sometimes. Lifetime has a unique rubber latch mechanism that allows you to easily undo the latches. This would be really easy for my kids to use. I’m actually shocked that this cooler is made in the USA, it’s even moulded into the lid that it is made in the USA. Yeti coolers are primarily made in the Philippines and China with some coolers being made locally, so it’s great to see that Lifetime is actually making their coolers locally. The coolers are manufactured in Clearfield, Utah according to this facebook post. The drainage plug is hose compatible, meaning you can screw a hose onto the end of the cooler in order to drain it away from it’s location. This is a cool feature that could come in handy. When it comes to value for money you really can’t go wrong with the Lifetime cooler. For the price you are paying you get almost all the features of a Yeti cooler. Sure it lacks some of the durability and it isn’t watertight but for around $100 you get a quality and robust roto-moulded cooler that can keep ice for 5-7+ days. It’s got a 5-year warranty, just like the Yeti, and is actually made locally in the USA – not manufactured overseas. 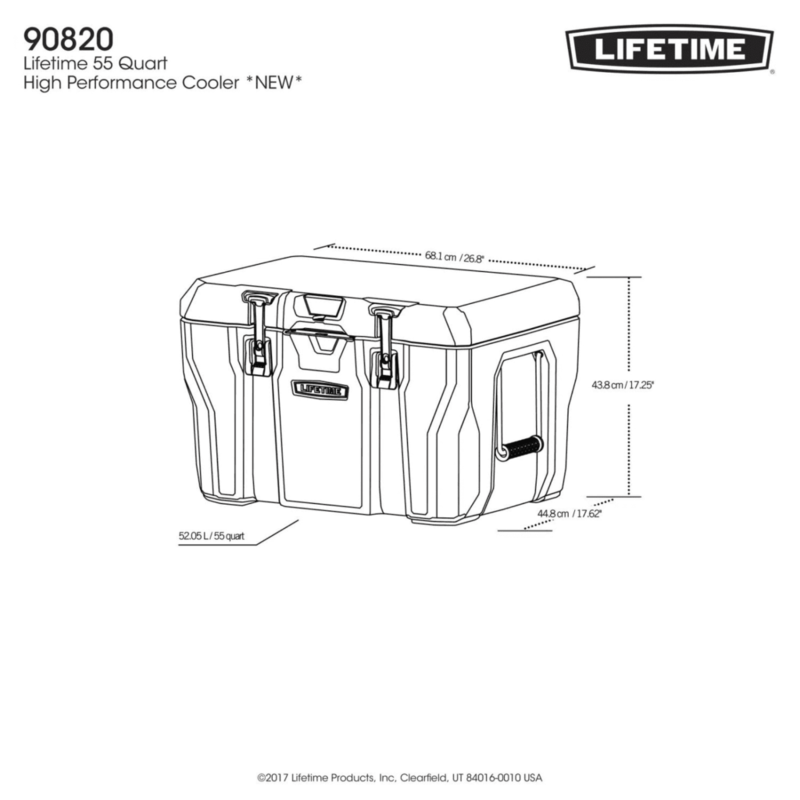 The rubber latches are simple to use, the lid can hold up to 300lbs so it is fine for sitting or standing one and the cooler is certified bear proof. 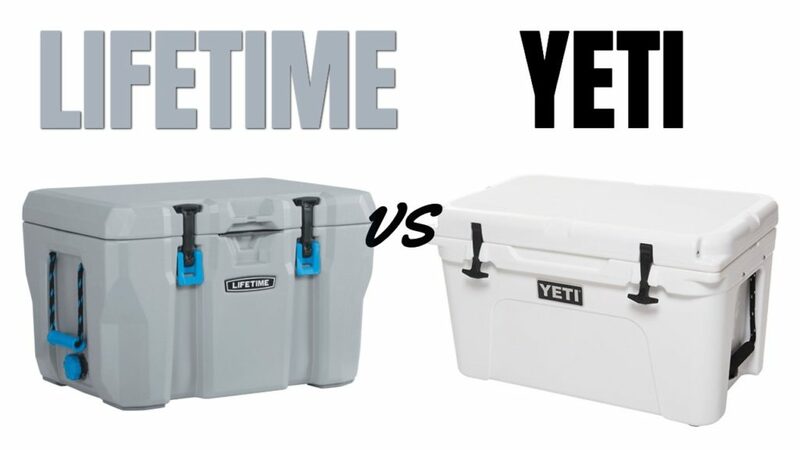 Unless you absolutely want the Yeti brand (which is totally fine) then the Lifetime cooler is almost as good as Yeti for a tiny fraction of the price. Who Is Yeti’s Biggest Competitor? Yeti BackFlip 24 Honest Review: Is It Worth The Money? 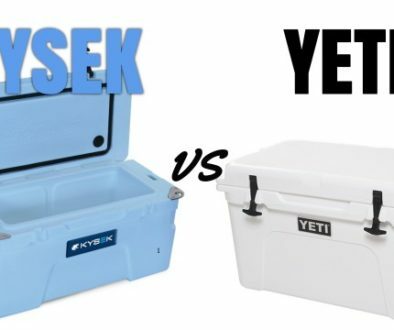 Kysek Coolers vs Yeti – Is This A Better Cooler Than The Yeti?